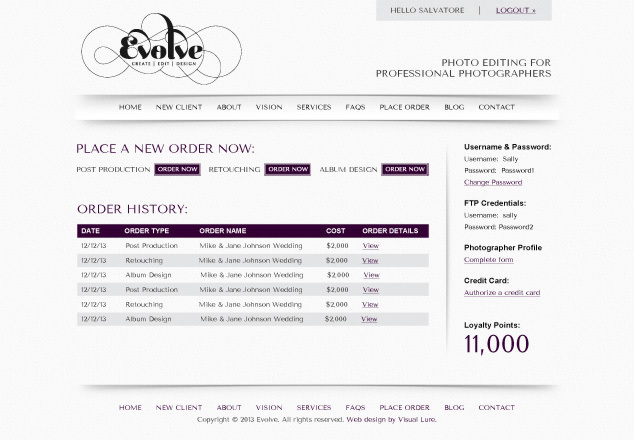 Visual Lure is in the process of completing a new website for EvolveEdits.com, a St. Louis Metro East photo editing and post production company. Evolve was originally based out of Seattle, Washington but is now located in downtown O’Fallon, Illinois. It was co-founded by Sal Cincotta & Laurin Thienes and is now one of the country’s premier editing companies for professional photographers. Their services include retouching, photo selection, album design and high-end professional editing which transforms quality images into true pieces are art. 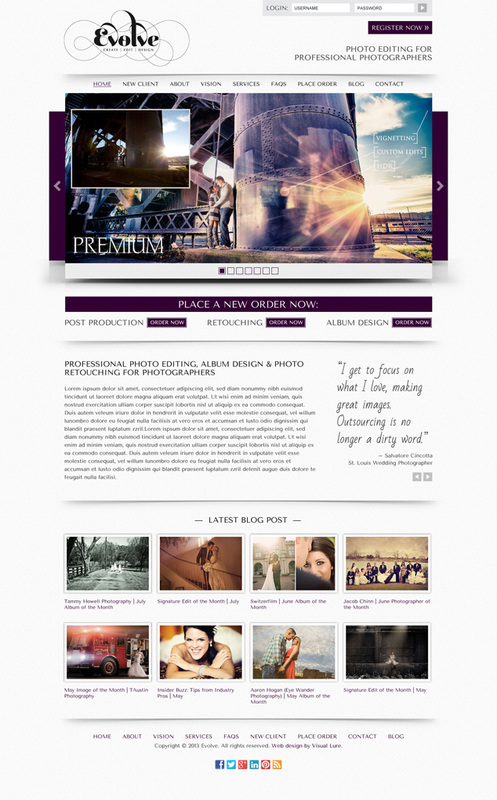 The new website was built in WordPress with a custom theme, seamless blog and a robust member’s section. 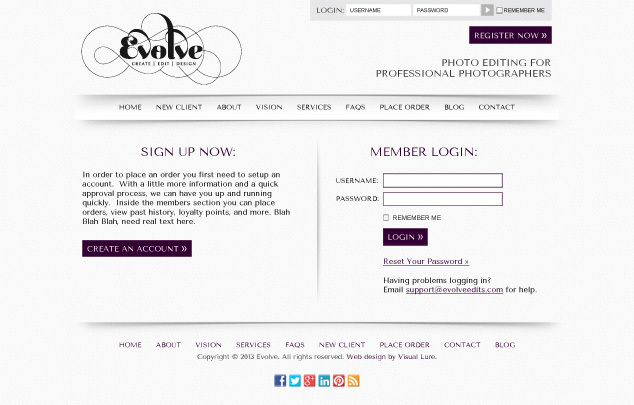 The member’s section ties directly into Evolve’s accounting and project management software using an API. This feature streamlines Evolve’s accounting/billing process, allows members to view their order history, and help remove TONS of paperwork and data entry for Evolve’s staff. The new website is scheduled to launch on November 1st. Visual Lure will also be providing Evolve with Search Engine Optimization (SEO) services.